You can upgrade to a paying account at any time during your free 30 day trial. Don’t worry, we’ll send you a gentle reminder before your trial ends. 1. 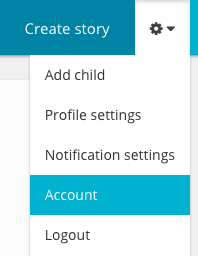 Click the settings icon that looks like a little cog at the top of the page. 2. From the drop-down menu select ‘Account’. 4. Fill in the form, and click the 'Upgrade now' button. The amount you'll pay will be based on the number of children you wish to add. If you have a promo code, please see this article. 6. 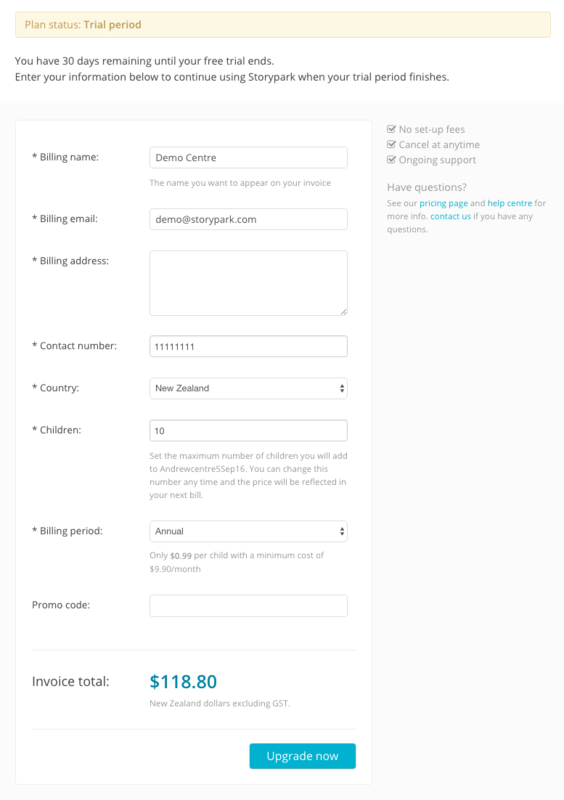 You'll receive an email with your first invoice, and payment details.